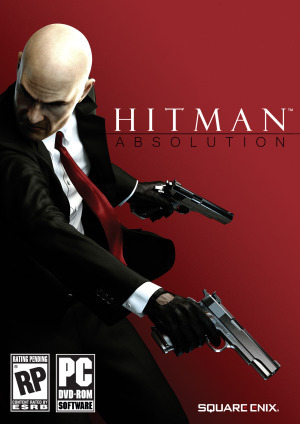 I want to be clear with something before I give you my impressions on Hitman Absolution, I am a huge fan of the Hitman series. So, if my impressions of Hitman Absolution come off as “fan boyish” it’s because, yes, I am a Hitman fanboy. Hitman Absolution takes place with our favorite assassin Agent 47. Assimilator and I got the chance to see level nine of the game where Agent 47 did what he does best, assassinating targets. The first thing I noticed about the demo was the crisp, clean and smooth graphics. The past Hitman titles are usually rough around the edges in the graphical department, but with the Glacier 2 engine, this as been resolved in the newest iteration of Hitman. In the demo, Agent 47 is assigned to kill four targets and subdue a fifth. Yep, you read that correctly, Agent 47 actually doesn’t kill everybody! Like past Hitman titles, Hitman Absolution gives you the freedom on how you want to kill your targets. The demo showed this by having Agent 47 kill a target by making it look like an accident. Another assassination was completed the old fashion way by shooting him and quickly shooting everyone in the vicinity, leaving no witnesses. When planning the way you want to go about assassinating a target, disguises are great tools and they return in Hitman Absolution. The demo also showcased a new feature entitled “Assassin Vision.” Assassin Vision allows Agent 47 to easily see his targets that he needs to assassinate by having the target become highlighted with a red hue around him/her, while people with a yellow hue around them are neutral. Assassin Vision also allows you to see targets through walls which is extremely helpful when you are planning your next kill. Hitman Absolution looks promising. It has all the necessary features we love about the previous Hitmangames as well as some new additions that take the game to new heights. The feeling you get when stalking your next victim, the ability to choose your own path in how you want to assassinate your target, and the inclusion of Assassin Vision is really shaping Hitman Absolution to be the best Hitmangame to date. For me, this is a must play game, especially if you’re a fan of the Hitman series. And, if you’re not, Hitman Absolution still looks like a game for all you stealth fans out there. Look for it to hit store shelves on November 20, 2012.